Premium Stripe 13,5 gr. 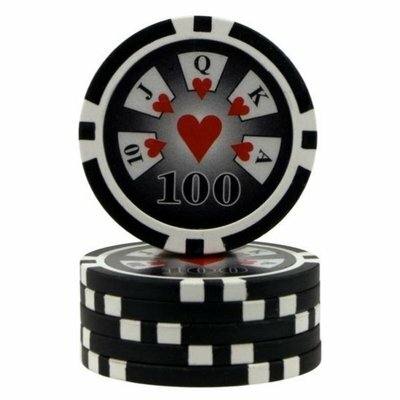 poker chips. 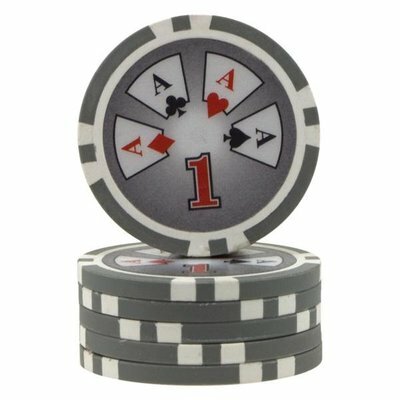 Premium Stripe pokerchips with value. 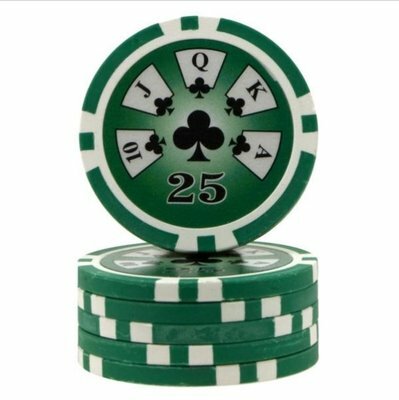 The perfect choice for everyone who is looking for simple but very decent poker chips with a nice feel and sound. 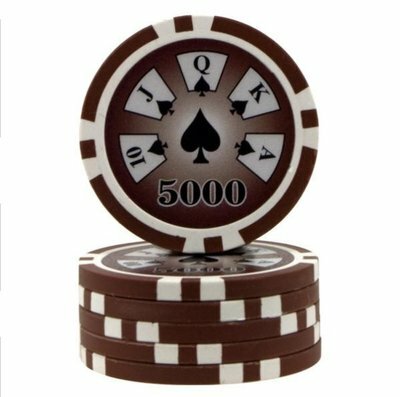 Our Premium Stripe chips are made out of clay composite and weigh 13,5 grams. 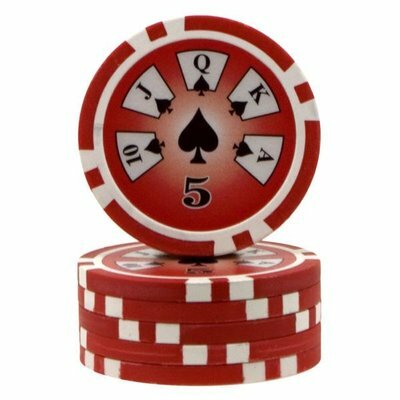 There is a metal core inside of the chip. 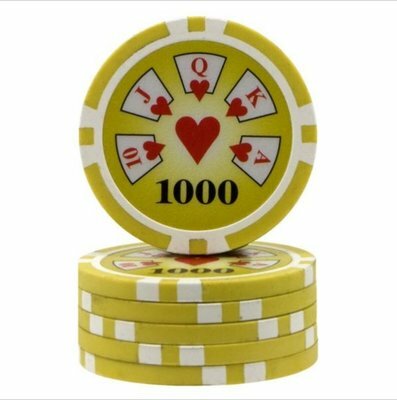 Compared to standard plastic chips, the Premium Stripe pokerchips are heavier and handle and feel much better because of the material they are made of. 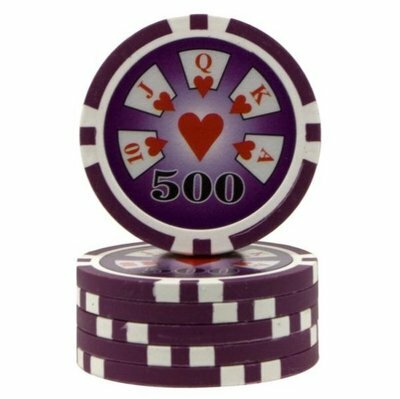 The sound of the chips is also much better, as it compares more to real casino chips instead of sounding more like a toy like plastic chip. 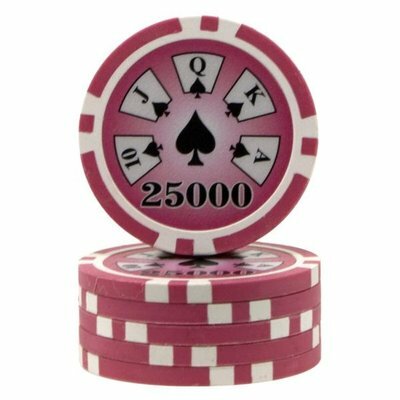 Available values for this chip series range from value 1 to 25.000. 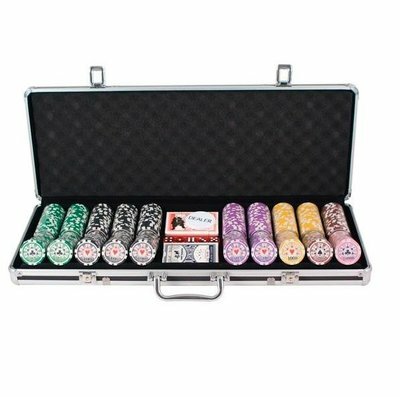 This allows these chips to be used for cash games, poker tournaments but also for a wide range of other casino games like Blackjack.